The Compassionate Neighbours project is a community-based approach to supporting people who are coming to the end of their life in their community. It was established at St Joseph’s Hospice in London in 2014. Staff at the hospice worked with Social Action for Health and people from the local community to co-design a volunteer-led approach. The resulting project has growth into a ‘social movement’ – or community – of 300 compassionate neighbours attached to St Joseph’s alone. A compassionate neighbour is someone who is trained and ‘matched’ with someone in the community who may be socially isolated and approaching the end of life. Compassionate neighbours and their community members then go on to develop a relationship over time that is reciprocal and supportive. Compassionate neighbours also support each other project through regular coffee mornings and development meetings. The model is underpinned by public health principles, primarily the promotion and protection of health and wellbeing through the organised efforts of society, emphasising the collective responsibility of society and community. In 2017 the Compassionate Neighbours team received funding from Nesta to expand this project to seven other hospices in and around London. The McPin Foundation was commissioned to conduct an evaluation of this project during this ‘roll out’ phase. The Compassionate Neighbours project takes a community-focused approach towards people who may be living with a long term or terminal illness, are elderly or frail, socially isolated or nearing the end of life through age or illness. 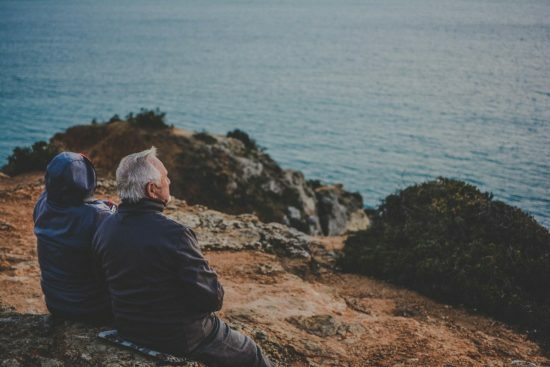 This project recognises that people in this phase of life have a desire to feel connected with their communities and to be socially included, a need which is not best met through medical care. While this peer-based model may feel familiar to those within the mental health sector, in palliative care this is a relatively new approach to supporting people who may be facing the complex emotions that come with thinking about living, death and dying. It is important for us to understand how a community approach to living, death and dying, similar in many ways to peer support seen in mental health, can be effective and can be successfully established in new environments. How is experiential knowledge contributing to the project? We have involved compassionate neighbours in the development of evaluation tools within the project, and a compassionate neighbour was part of our working group. We have also spent time talking informally with many compassionate neighbours to understand what the project is about and what kind of information we should be collecting. We are currently coming to the end of data collection and are writing up our findings as an evaluation report.